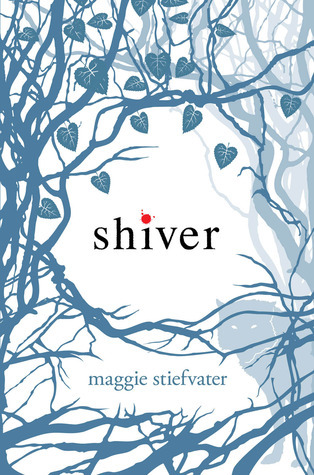 Review: Shiver by Maggie Stiefvater - Book.Blog.Bake. I missed the Shiver series train when it came out a few years ago and I’ve always been curious about what I missed, so when Amazon was offering the kindle version of the book for a $1.99, I jumped aboard. Reading Shiver was an emotional roller coaster ride, but not always in the way I think the author wanted it to be. My opinion of Shiver fluctuated while reading more than almost any other book I’ve ever read. At ten percent through the novel, I felt quite uncomfortable as Grace, our protagonist, is obsessed with her wolf. I understand that the yellow-eyed wolf saved her life, but I couldn’t get over the unhealthy obsession Grace had. So when the wolf shows up as Sam and I’m suppose to buy into their instant love, I couldn’t quite get into it. I kept reading though, and my uneasiness subsided into general boredom. At about forty percent through Shiver, I was ready to put it away. I was bored, lacked interest in the plot, and couldn’t really follow the romance. However, because I’m stubborn I kept reading hoping it would get better. And unlike what normally happens when I assume such a thing, it did. I loved the last half of this book, and I don’t know why. The entire first half I spent time being uneasy and bored, but around the halfway mark I started to feel myself rooting for Sam and Grace. Their romance fell into an easy rhythm that was much more believable, I enjoyed the story lines, and I actually was eager to know what happened next. The writing, which had been beautiful from the very beginning, hooked me even more. When Grace and/or Sam felt sad, I felt sad. When they had a victory, I celebrated too. Somehow, I became attached to the characters. I also really enjoyed Sam’s exploration of his humanity and how he wanted to stay Sam, in contrast to his wolfish nature. It’s a really great look at what it means to keep your own humanity. At the last half of the book, all the things that make this story unique really stand out. Maggie Stiefvater is a really beautiful writer. She writes sentences that make me want to curl up next to the window and listen to someone speak her sentences all day. I really appreciated the characters of Sam and Grace, and how they’re not your typical romantic leads. Grace is the practical, less emotional one, whereas Sam is an artists at heart, creating songs and poems in his head during every moment. In the end, though, I’m perplexed what to rate/how to recommend this book. The last half was really stunning and I was completely captivated, but the first half was a little strange and made me uneasy at times. Ultimately, I think this is a worthwhile book that really establishes Stiefvater as a wonderful writer, and I’ll definitely pick up some of her other books(I’ve heard only good things about The Raven Boys), but I’m not sure I’ll be revisiting this book. Final Impression: Beautifully written, but the beginning with Grace’s obsession with the wolfs was a little too unhealthy for me. I loved the second half, though, and despite my misgivings I ended up falling in love with the characters. I’ll average my review into around a 3/5 stars, but I would say that while I absolutely loved the ending, this book is definitely not for those who don’t like slow-paced stories. While I thought her obsession was a tad creepy, it didn’t make me like the book any less or anything. On the contrary, I found I rather enjoyed this first book. I wish I could say the same about the others. Top Ten Tuesday: Top Ten Beautiful Book Covers | Book.Blog.Bake. shiver is a very vigilant book and it is very sand what is happening to the girl i like the book a lot it is sand to i like shiver. I think you would really like The Scorpio Races. Stiefvater’s lyrical descriptions really shine in this book and the romance is much more slow-growing than in Shiver. Shiver is about more than a love story although that’s most often how it’s billed. The theme of being true to yourself is one that becomes more pronounced in both Linger and Forever. I actually loved Shiver but was more apathetic about both Linger and Forever. Stiefvater’s other novels have gotten nothing but rave reviews from me; she is definitely not an author to overlook. I definitely plan on checking out The Scorpio Races and the Raven Boys. I can’t decide if I should continue with Linger and Forever. I really liked the last half of the book, which makes me think I would like the next two more, but I’ve also heard that Linger and Forever are generally not as popular as Shiver.